Who doesn’t love an underdog story? From time to time I feel compelled to tell the 8 loyal readers of mine (granted 6 of you are by accident) about something other than the normal drivel I provide you with. I’d like to draw your attention to the upcoming Sochi Winter Games and a cause that I hope comes to fruition. 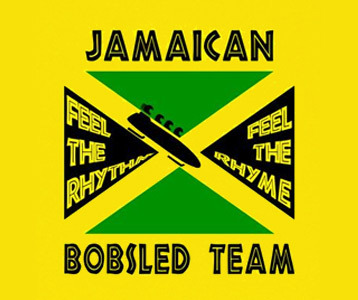 The Jamaican Bobsled team has qualified for SOCHI ’14. Remember the cult classic movie Cool Runnings? Cool Runnings hit cinemas in 1993 in a film about the first Jamaican Bobsled team trying to make it to the Winter Olympics. It starred John Candy (yes Uncle Buck himself) – among others. The story was based on an actual team that competed in the Calgary Winter Olympics in 1988. Unfortunately the slick track and speedy turns aren’t the only obstacles this team needs to overcome to make their dreams come true. This edition of the Jamaican bobsled team is going to need some financial help to get to Sochi. According to reports they are short 80 000 dollars. Thankfully some benevolent folks in the cyberworld are taking up their cause by using multiple crowd funding sites and they have already raised 13 000 dollars. For a more accurate account of this check out this link. As a fella who has been known to lay a wager or two in his day I probably wouldn’t have bet on this. Me being sober at that time of my yearly address on New Years eve. Thanks to a sudden bout of the flu I’ve been couch surfing the better part of the last 2 days, thus I’ve been left with a diet of crackers, toast and water. A far cry from the wonderful New Years spread that the First Lady and I would normally feast upon. Other than this unplanned bout of sobriety (and influenza) this past year has been pretty good to me. The First Lady continues to be the finest wife, mother and sports administrator that you will ever find. Being married to me is not an easy task (especially after I won the Canadian Blog Award for Best Sports Blog) to say the least and yet the First Lady puts up with my antics on a daily basis. The way she juggles all of the hats she wears around our household is quite impressive. I hope she realizes how much the association, the merger and I truly appreciate everything she does for us. The Association has had a banner year and he’s now on track to graduate Kindergarten in the summer of of 2014 (that’s if he doesn’t go skip the draft and go pro). Not only has the Association excelled in the classroom but he’s also been quite proficient on the playing field as well. This year the youngster played his first season in Soccer and he was an exciting player to watch to say the least. In one particular match the Association scored 7 goals all the while his squad won 4-3. The doogle (as he’s also is known) has been a fantastic big brother and role model for his little brother. One of the finest things to see this calendar year was the relationship between him and his little brother flourish. It’s truly wonderful to see. The Merger continues to grow in many ways. The little TT train that could is happy go lucky fella and is really coming into his own during his 3rd year. He has become a talking machine (wonder where he got that from?) and he’s was named the best potty trainer ever at his daycare. Although it must be said that after he was bestowed this title of best potty trainer he was found in the washroom with his underpants around his head shouting “I’M A PIRATE!”. The little big man likes himself some winter sports and can be often seen playing hockey downstairs, upstairs or outside. It must also be noted that he is becoming quite adept at tobogganing and a future career in the two-man bobsled isn’t out of the question. As 2013 rolls around it’s seems to be the appropriate time to scribble down some resolutions of some kind. As per usual I hope to take better care of myself physically. This seems a constant for me and probably will always be. So it will be important for me to remember the words of Jacob Riis. I’ve also decided that I need to become a quieter individual this year. Whether that means in voice, tone or simply my antics. A softer and gentler Straight From The Arse can be expected. As for the world of sports I’m truly hoping the teams that I support are on the upswing. As I pound the keys on this keyboard the Toronto Maple Leafs remain undefeated (thank you NHL lockout). On paper the Toronto Blue Jays have their best chance in years to make it back to the post season. The Raptors are an improving outfit but I fear they will be forever a doomed squad in the NBA. The Toronto FC are a complete mess and I’ll no doubt be griping about yet another horrible season at this time next year. It’s at this point I’ll sign off (at 9:15 pm sigh) a happy, healthy and prosperous New Year. 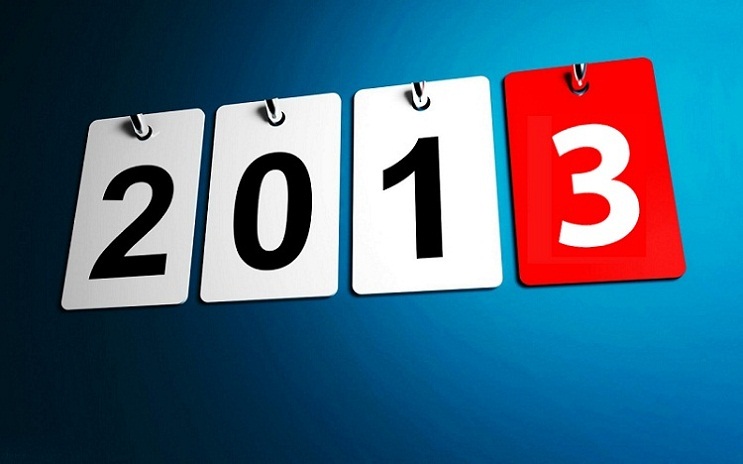 All the best in 2013 my friends.